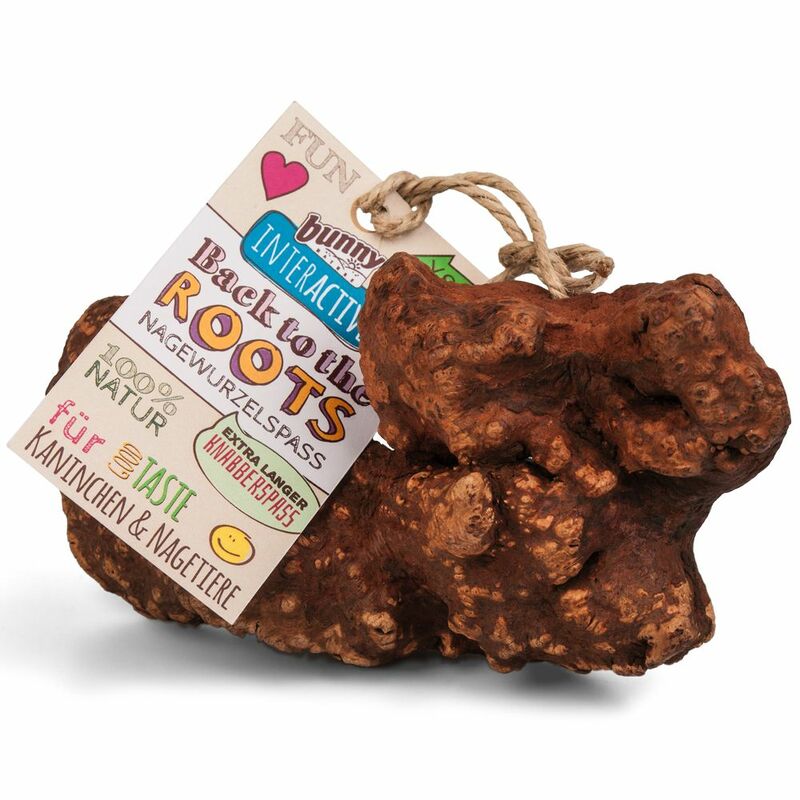 Back to the roots - the nibbling roots are made of 100% natural heather roots and provide a long-lasting treat to nibble whilst constantly nibbling off small pieces. The animals can follow their natural instinct to gnaw, they will enjoy doing so, and are kept busy. Gnawing also promotes the abrasion of the teath and dental care. Just place the gnawing root in the enclosure and that's all you need to do! You can also fasten the gnawing root with the twine at the cage rails - there are also two holes in the gnawing root for this purpose. Available in two sizes... there is something there for all small mammals! Bunny Back to the Roots at a glance: Heather root for rabbits and other rodents 100% natural heather root Extra long chewing fun for continuous gnawing Encourages natural chewing behaviour and keeps your pet busy Supports dental care and abrasion Easy to use: Just put in your pet's home or hang up with the cord.